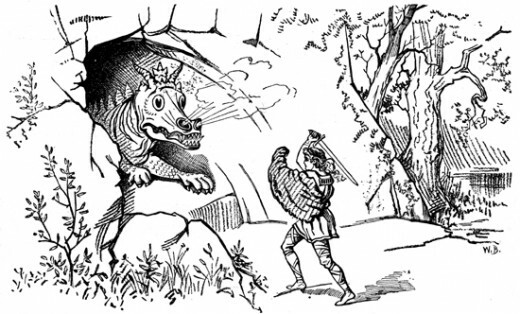 Dressing up in a dragon costume really can bring out the ancient beast in you. You can flick your mighty tail, wiggle your wings, and prepare to fly off into the night. It is quite the fine way to bring out the beast lurking deep within your soul. Some of these creature costumes are cute, some are cuddly, some scary, and others are simply down and outright funny. One of them could be absolutely ideal for you. The image of a dragon carries with it a number of powerful symbolic messages which are naturally reflected to those who view it's image. This creature is a symbol of good luck, power, strength, heraldry, protection, longevity, and wisdom. When you display a dragon in jewelry, dress, art, or home decor it sends out one or more of these messages to those you encounter. Those born under the Chinese dragon sign are thought to be blessed with good luck. This creature is a powerful symbol in Chinese culture. 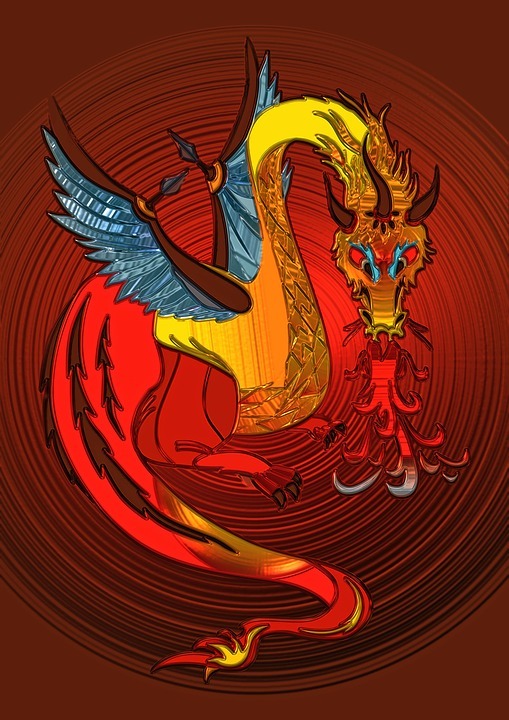 Did you Know That There are Nine Chinese Dragons? These dashing dragon costumes are perfect for the little ones who are busy crawling all over the cave. Dragons are beasties who acquire their wisdom through age (kind of like kids) which is why both of these critters have their hearts set on exploring their surroundings. Little dragons have a lot to learn about life. It can be a little scary until a young dragon gets it all sorted out. There are times when it can be confusing to be a young dragon. Like when your fire goes out and all you can get out of you is a little puff of smoke or two. Cough cough! It really is one of those frustrating events that a little dragon just hates to see happen. Especially when you are afraid of the dark and it is really late at night and the cave is pitch black. Eeek! When out hunting for food dragons have to figure out which foods are safe for them to eat and they have to be very careful not to choke on a bone when they are chowing down on something squiggly wiggly. Bones are pretty crunchy and you have to chew them up really good or you can get one stuck in your throat. Baby dragons really do have a lot to learn in their first hundred years of life. They have to know how to find their way back to the cave where they can be safe from all those pesky knights out there who are always trying to make a name for themselves by slaying a poor defenseless dragon. It's scary! Be brave and let your beastie out to play. These costumes are the creme de la creme of dragon fashion and definitely a switch from the norm. Cute, silly, and wonderfully fun. Yep, Halloween night is the perfect opportunity for you to let your dragon out to play. Dress up and get your scaly skin on for the evening. Winged dragons are gorgeous, dragons without wings are positively breathtaking, big dragon wings can be majestic, while tiny teeny dragon wings can be sweet. Which do you think is best: Wings or no wings and I am not talking KFC here? Want to lounge around the old cave looking like a beastie? Well if you do then the snuggly cuddly new dragon cosplay pjs are perfect for you and your family. There is a size for kids, teens, and also for adults so you can style up an entire dragon family. (That should shock the heck out of your neighbours.) Dress up the family and lounge around the cave dragon style.